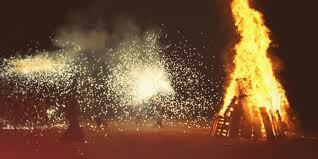 Every year during the night of 23rd of June, the whole territory of Catalunya and Valencia is plunged into party, music, bonfires and fireworks to celebrate the official start of summer, the night of San Joan. Traditional food, music and parties on the beach, everything you need to know about this magical night is to be found in this post. Most of people head to the beaches, both inside and outside the city, to dance around bonfires and party on the beach, celebrating the summer solstice. 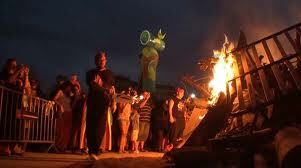 If you want to start your summer in Barcelona in style, you cannot miss the night of Sant Joan (Saint John)! Although lots of bars and clubs hold Sant Joan parties, the magic atmosphere takes everyone out to the streets. Each district of the city organises outdoor parties, and we strongly recommend heading to the beach. Which one? ANY one. From Girona down to Valencia, every inch of beach turns into a dancefloor. The sand is a very safe area to make bonfires on, and same for throwing fireworks. Young people also take midnight dips into the sea! The day after, on June 24th, is a public holiday, and the city is surprisingly quiet after such a long night of party. Most of bars, shops and restaurants remain closed so the best thing to do is to stay home and relax (or at the beach itself, if you are still there) to recover from the excesses of last night :). 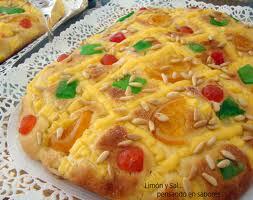 Another attractive point of the festivity of Sant Joan is the traditional food specially eaten on this day. This Catalan desert is called the Coca de Sant Joan, and is a type of sweet bread with aniseed and cinnamon, pine nuts and sweet fruits on top. Bakeries sell them in different sizes and kinds. Some of them, for example, include a thin layer of marzipan before the fruits. Others include a layer of custard or crème brûlée. They may also include pine nuts, almonds, yoghurt and so forth. The traditional drink to be taken with the Coca is the Cava, a kind of Champaign, with different categories and prices also. 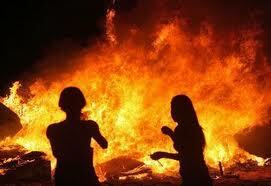 The fire: This is the most important symbol of Sant Joan and it represents purity. Burning something is said to cleanse your soul from past sins. Many locals burns their old furniture or school notes (this party is right after exams period!) during this night. The water: The water on Sant Joan feast gives you healthy properties. Many people take this so literally that even take a midnight dip into the sea. The herbs: Different kind of herbs are eaten on that day. Plants like Carline, basil, verbena, thyme, rosemary, mandrake root, mint, etc., are supposed to have magical virtues that night, like good luck, good fortune or protection against curses, warts, skin diseases (ringworm and rust) and all the evils. Beware of street bonfires and firecrackers. Go to the beach early in the evening to take a good place to enjoy the fireworks. Pay attention to the pick pockets. Barcelona metro and bus are open are open all night on June 23. Taxis will charge a supplement for that night. Even that, it will be difficult to find one free. 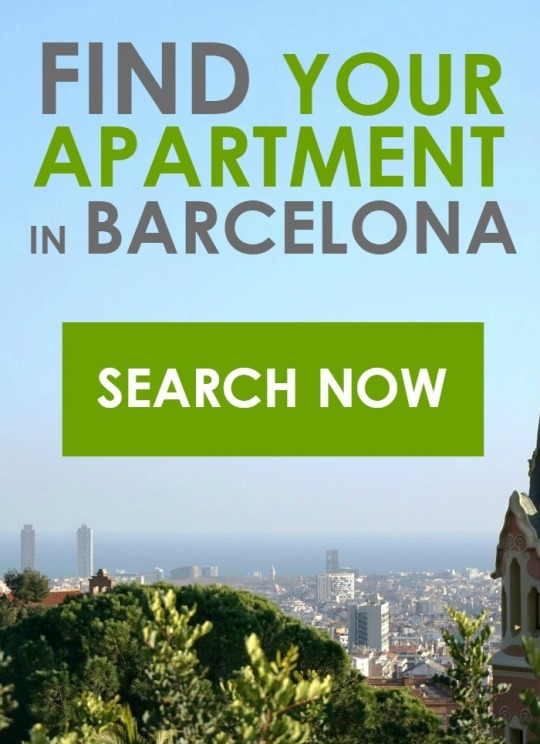 This entry was posted in City guide, Live music, Local festivities, What to do, With kids and tagged Barcelona, Barcelona summer, feast, festival, music, Party, tradition on June 4, 2014 by ApartEasy.